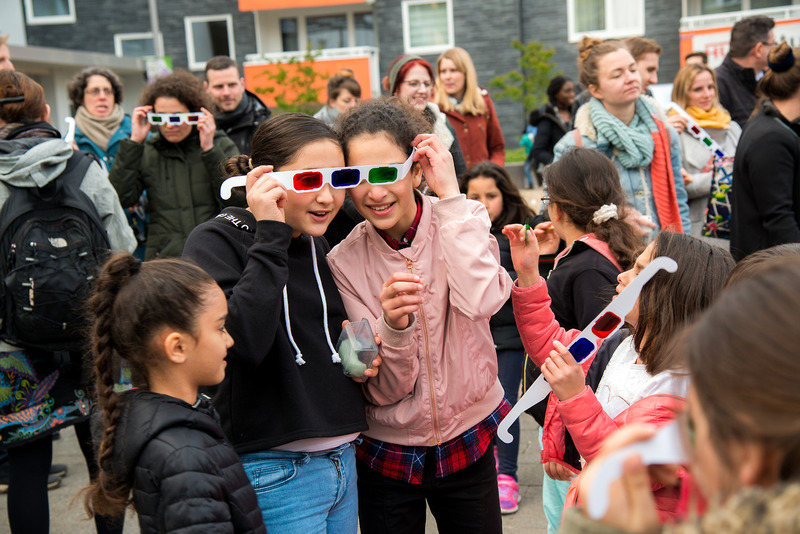 Scene from the festival opening, featuring custom made "3D glasses"
A hybrid event combining a neighborhood fest, academic symposium and participatory art experience. With a festival program composed of talks, workshops, walks, installations and personal, playful exchanges, participants explored how migration can be seen less as a crisis to solve and more as a part of 21st century societies, with many aspects relevant to the common search for a good life. Download the full program, watch a fun video or see more photos.